Explore Highland offer’s bespoke canoeing, kayaking and stand up paddle boarding experiences in the Scottish Highlands. Based on the Caledonian Canal in Inverness, Explore Highland run by Donald Macpherson offers a wide range of paddle sport activities for all ages, fitness levels and abilities. Paddling throughout the year Explore Highland services include boat & equipment hire, guided half, day and multi-day trips, plus able to deliver national governing body qualifications and skills courses. Always aiming to offer a personal paddling experience, Donald is known as the local paddling expert and ambassador of the sport. Offering his professional services, ensuring you get the most out of your paddling adventure. The Highlands are renowned for its stunning landscape, scenery & wildlife which is just waiting for you to explore with our great kit. Come paddle with Explore Highland and see how beautiful the Scottish Highlands are first hand! PLEASE NOTE: All hire, shuttle & guided services require minimum of seven days advanced booking. Planned holidays and trips can be booked/paid online! 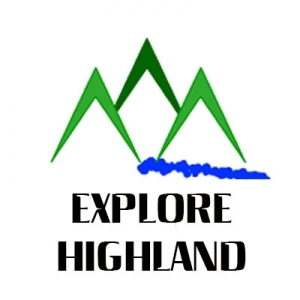 Explore Highland offers various adventure holidays throughout Summer across the Highlands & Islands. These adventures are lead by Donald Macpherson who is a full-time highly experienced multi-discipline paddlesports coach, guide, and author. Bespoke holiday dates also available for group bookings. As an ambassador for paddlesport, Donald’s local knowledge is invaluable in making your Scottish paddling adventure safe, fun and highly memorable. Email Donald today to find out how he can help you explore the Highlands!